designers and engineers analyze those requirements — platforms, project timeline, integrations, etc. — and decide which technologies and languages will be the best fit to build the app. Xamarin development tools have been a perfect match for several of our recent high-profile projects. With Xamarin, we can efficiently build, test and monitor cross-platform mobile apps — most often iOS and Android — without sacrificing a native app experience. Case Study: Read how we used Xamarin development to build the Avaya Stadium app for the San Jose Earthquakes. Contact Us: Wondering whether Xamarin might be a good fit for your multi-platform mobile project? We’d be happy to help in any way. The benefit is obvious. We save development time, and our clients save budget. The recently launched Plum Radio app is a great example. For the initial release on Android and iOS, we used one code base (in C#) and did most of the UI work using Xamarin.Forms — a huge time and cost savings. The newly available Avaya Stadium App for the San Jose Earthquakes is another. Working with our friends at Xamarin, we’ve created a case study that details how Xamarin helped us deliver a great multiplatform in-stadium app — on a tight schedule and within budget. Here are five reasons why we love Xamarin development — and why the customers we build apps for are better off because of Xamarin. Time to market is crucial in mobile. From the mix of devices in the market to consumer demand, things can change a lot between the beginning and end of a long project. We estimate that by using Xamarin, we cut down on development time by up to 30 percent on a multi-platform Android/iOS project. Put in real terms — that means a six-month project can be completed in four using Xamarin, saving our customers thousands of dollars in development costs and most importantly allowing them to launch their app sooner. Our diverse and experienced engineers are well-versed in today’s most important programming languages. But using Xamarin for a project and standardizing around a single language — C# — means the internal algorithms in an application can be written once vs. writing that algorithms in Objective C for iOS and in Java for Android. That makes the app much easier to architect and test. We’re tried a lot of other cross-platform mobile development solutions — including PhoneGap and several HTML5 frameworks. They all save some development time — but none of them deliver the native user experience on iOS and Android that Xamarin development does. There’s nothing worse than finding a bug after thousands of users have experienced it. After the launch of the recent Earthquakes app, we were able to proactively identify and fix an issue within 48 hours — thanks to Xamarin Insights — that affected 3% of Android users. Without Xamarin Insights, it would have taken much longer for us to identify the problem—and a lot more users would have experienced the problem and frustration. The early warning spared us a lot of angst. During definition, we work hard with our customers to define the a lean MVP feature set — enough to validate a product concept in the market as quickly as possible. In the past, that often meant making the hard choice between iOS and Android for the MVP. 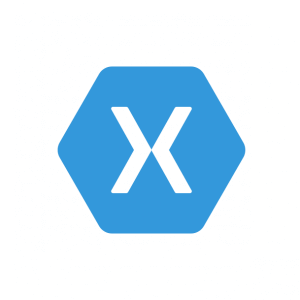 With Xamarin, an MVP on multiple platforms makes a lot more sense because of the efficiency gains involved with the shared C# code and the Xamarin development platform.